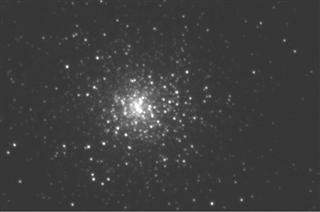 A 30 second exposure of M15 taken in November 2011 with the RCT broadband R filter covering approximately 400 arcseconds E-W (left-right) and 270 arcseconds N-S. Orientation is with North up and West to the left. The intensity scale is logarithmic. 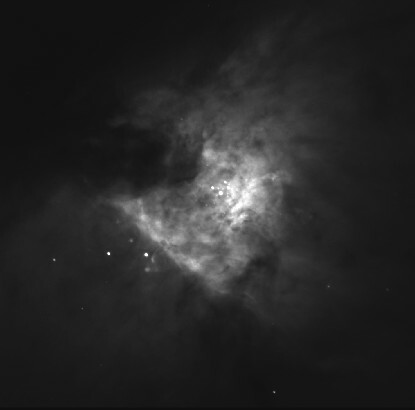 A 30 second exposure of the HII region, M42 (the Orion Nebula). 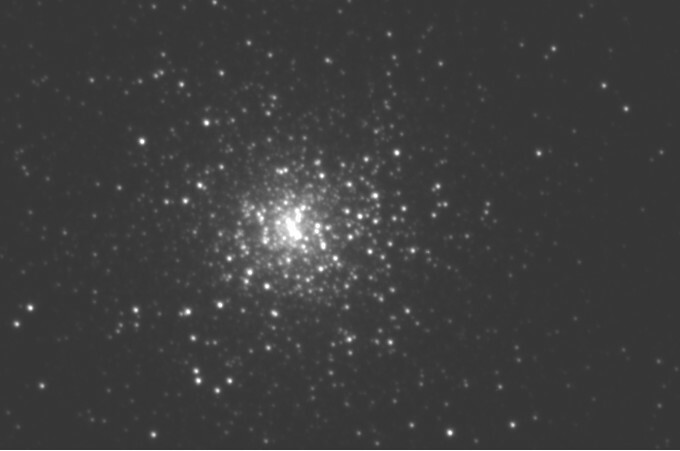 Taken through the RCT’s Hα filter in November 2011, this FOV is nearly 10 arcminutes square. Major features such as the Dark Bay (upper left), the Bar and the Trapezium stars (center) are clearly visible. Orientation is with North up and East is to the left. The inner region of M42 in the Hα image showing greater detail than the full view. Included are the four bright Trapezium stars just up and to the right of the center of the field. Stars fainter than 16th magnitude are visible near the Trapezium. θ2 Ori A is the brightest star in the lower left, below the Bar. Emission features such as ionized knots (near θ2 Ori A) and shock fronts are clearly visible. Orientation is with North up, and East is to the left. This composite picture is of 4 separate images taken of Comet Hartley 2 on October 14, 2010. 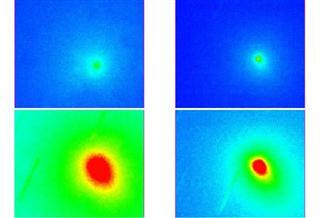 The images were acquired using the RCT narrow-band comet filter set with bandpasses centered on molecular emission bands and the nearby continuum of cometary spectra. 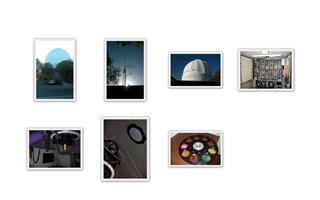 Clockwise from the upper left are images that show the intensity of emission of CN, C3, NH2 and C2. 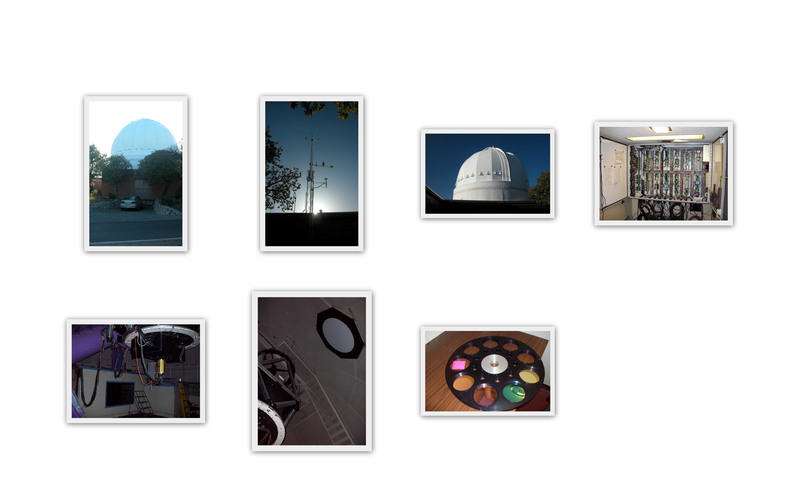 All exposures are 300 seconds in duration and the intensity display ranges are identical. Streaks are star trails. 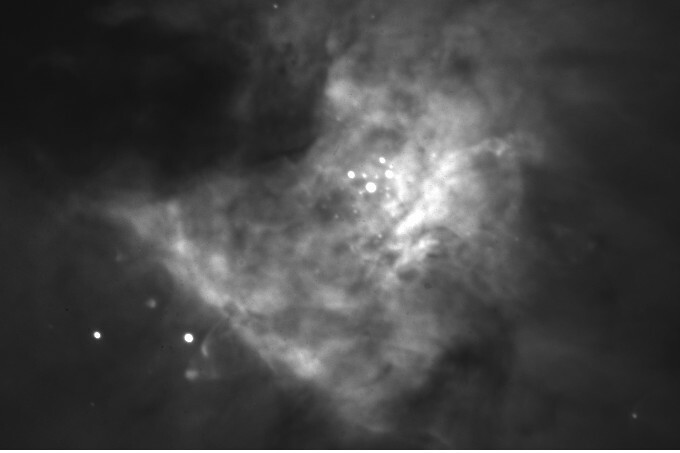 Differences in the size and shape of the emission region formed by each molecule are evident. The RCT is capable of extensive pre and post-perihelion monitoring of comets for outburst and fragmentation events as well as determination of volatile production rates.